Sandeep Purao and I have a paper accepted at the 44th Hawaii International Conference on System Sciences in the Electronic Government Track (Development Methods for Electronic Government, Minitrack). The paper analyzes the IRS’s Business Systems Modernization Project using sentiment analysis. We describe results from historical analysis of a large-scale, public sector effort: the IRS Modernization Project that has already spanned a decade and consumed more than 3 billion dollars. The results focus on analysis of Sentiments and Confidence expressed by different stakeholders, as found in various documents. We explore how such analyses may provide a window on project progress and potential early clues that may contribute to preventing undesirable outcomes in the future. Reference: Purao, S., and Desouza, K.C. 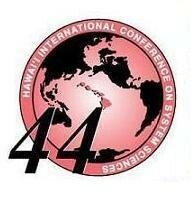 “Looking for Clues to Failures in Large-Scale Public Sector Projects: A Case Study,” In Proceedings of the Forty-Forth Hawaii International Conference on System Sciences (HICSS-44), Los Alamos, CA: IEEE Press, Kauai, HI, (January 4-7, 2011).